I woke up this morning to find my 7D had died. Luckily my wife lent me her 60D for the day. I was showing Franck ( a French birder and on/off resident of Japan who I know from a while back) around some of the local sites. 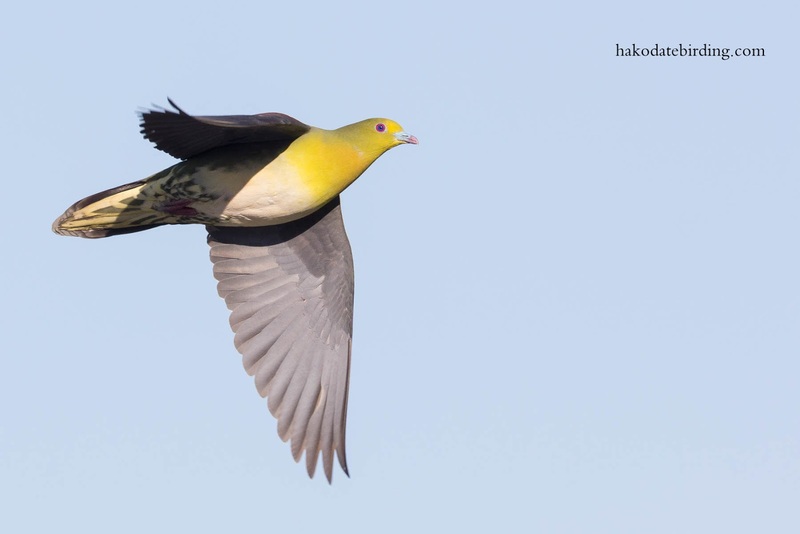 He wanted some Japanese Green Pigeon photos (the first ones ever by a frenchman he claimed!) so off we went to Shikabe but were thwated by fog. 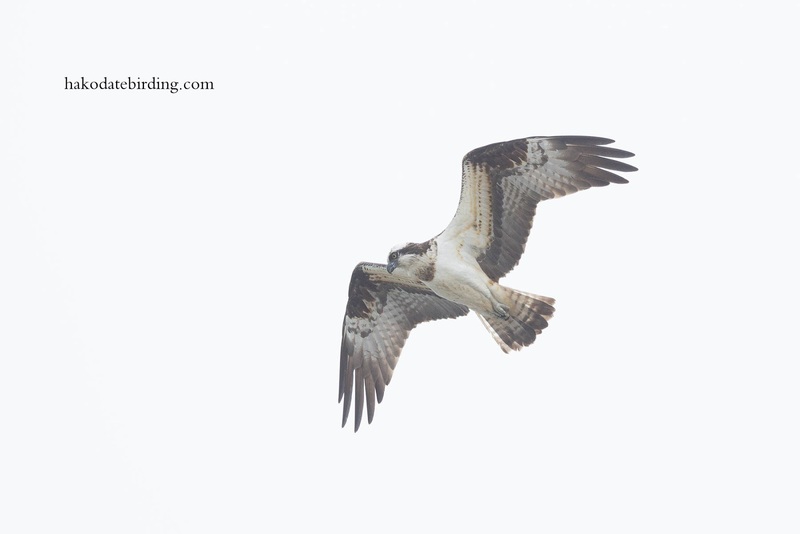 Up at Yakumo there were 4 fishing Ospreys but again it was floggy and misty. Only BIFs and I couldn't really get used to the 60D so messed up most of the shots. I got a few nice ones though. "Interesting re the 7D" - maybe reload the softwear. 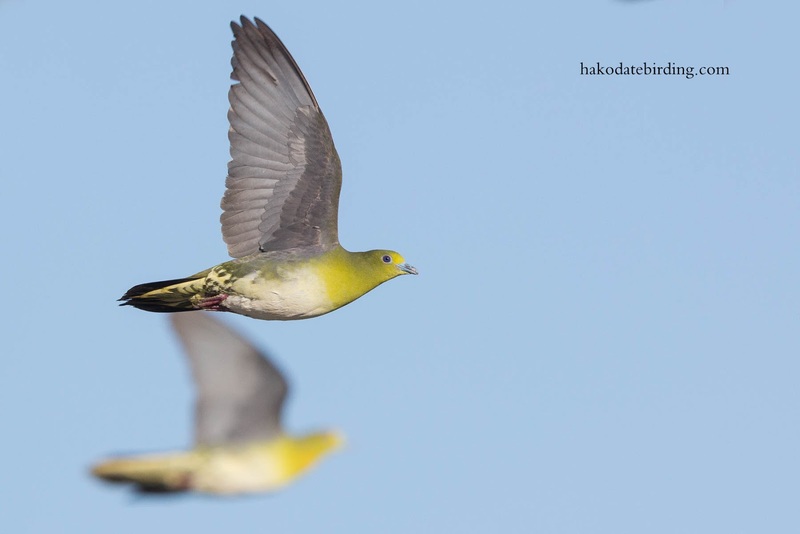 They are an attractive pigeon. 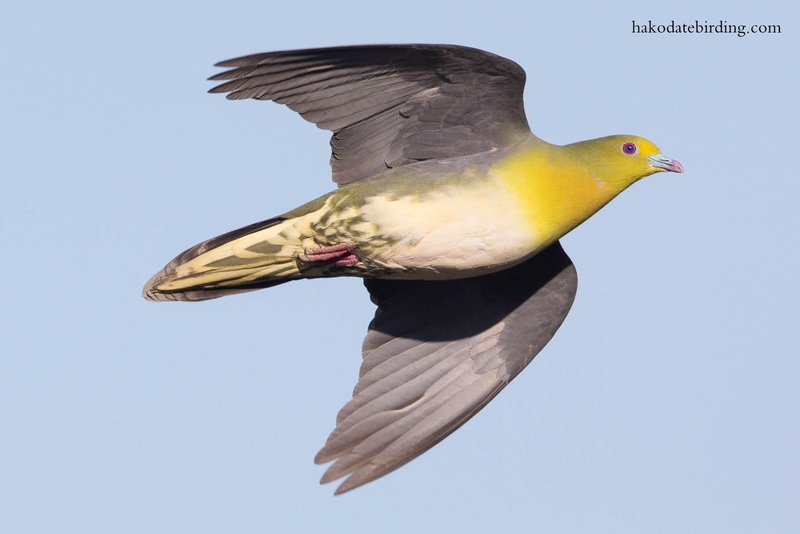 Those pigeons in flight are really great - much more exotic than the doos here!